The gravity-wave detector bounces lasers off of high-precision mirrors to measure tiny changes in length. Teukolsky says the discovery shows just how extraordinary the natural world can be. "The universe is stranger than any kind of fiction we could imagine," he says. "I mean, it's preposterous." Scientists today announced a huge discovery that many had been working toward for decades. DAVID REITZE: Ladies and gentlemen, we have detected gravitational waves. We did it. MCEVERS: That was David Reitze. 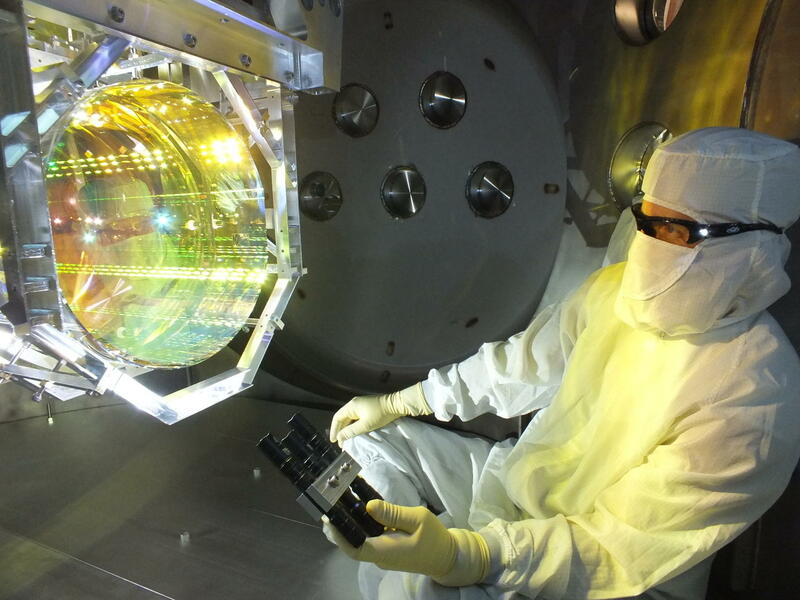 He's director of something called the Laser Interferometer Gravitational-Wave Observatory. Did I get that right, Geoff? GEOFF BRUMFIEL, BYLINE: Yeah, you nailed it. Laser Interferometer Gravitational-Wave Observatory. MCEVERS: OK, that's NPR science correspondent Geoff Brumfiel who you can you hear is here with me in the studio. Tell us about this huge discovery. BRUMFIEL: So, I mean, I can play you the actual sound of this discovery if you want to hear it. BRUMFIEL: All right, let's do it. 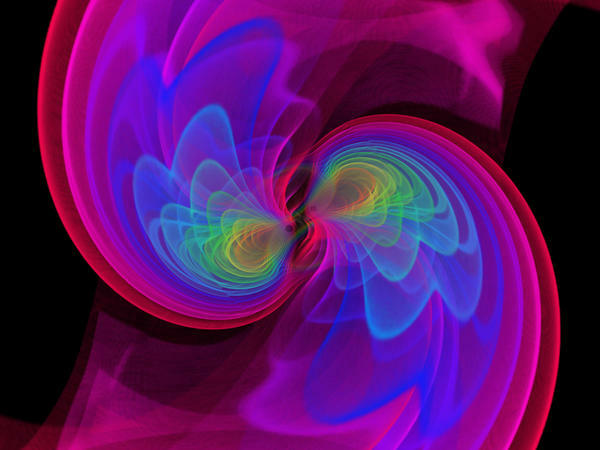 BRUMFIEL: ...That bloop is the gravitational wave, and it came from two black holes colliding, according to researchers. This collision happened around 1.3 billion light-years away. So it took 1.3 billion years for the signal to get here. But it reached us on September 14, 2015, at 5:51 a.m. Eastern time. MCEVERS: And so what are gravitational waves and why is this such a big deal? BRUMFIEL: So Einstein predicted this a century ago as part of his theory of gravity called general relativity. And this theory said that gravity is actually a warping of space and time itself. It's a warping of the very dimensions we live in. When heavy objects move through space and time, though, the theory also predicts that they create ripples. The best way to maybe think about it is like a rock being thrown into a pond. When the rock goes in, it'll generate these ripples that spread out. 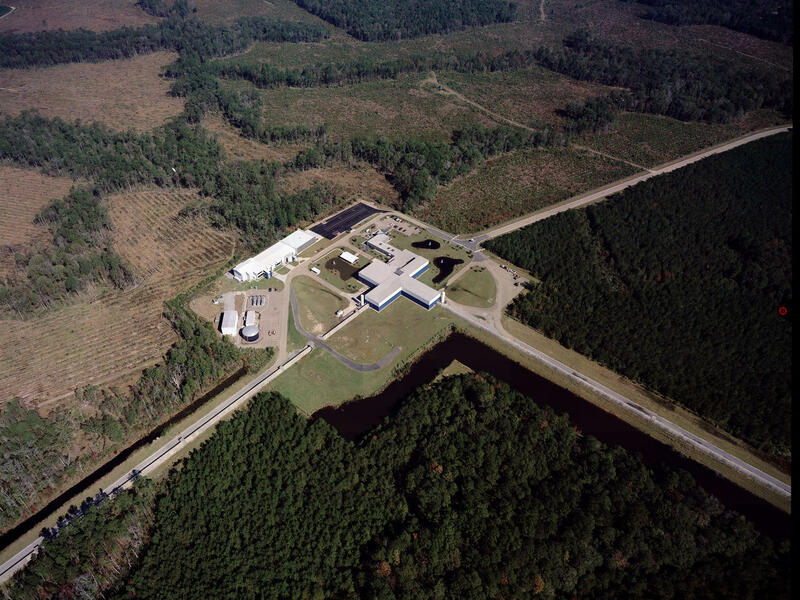 Those are the gravitational waves. MCEVERS: And so how did they discover them? BRUMFIEL: They used lasers like any good scientists would. And what they did was they basically have these two long tunnels at a right angle. It's kind of an L-shape. And they shoot lasers down each one. It's all a bit complicated. But basically, these are like rulers. And they can measure tiny stretching and squishing of space. They've actually got two of these rulers. One's in Washington state and one's in Louisiana. And so both of them saw the signal. The signal was about the size of one one-thousandth of a proton's diameter. So that gives you an idea of how tiny these waves are. MCEVERS: I mean, if it was so small, how could they be sure that what they were saying was real? BRUMFIEL: You know, I asked them that myself. And I was surprised to hear that many of the physicists involved were skeptical when they first saw the signal. Here's Rainer Weiss who's been working on this since the 1960s. BRUMFIEL: So they had to rule out all kinds of stuff. For example, in the Louisiana detector, they have, like, an exercise ball in the control room that they sit at sometimes. If they bounce that, that'll set off the detector. They ruled that out. The even thought about, like, Chinese hackers - you name it, they tried to think of it. And the signal that was left after they did all that checking is just textbook. MCEVERS: OK, so where do they go from here? BRUMFIEL: For one thing, we've never actually seen black holes directly before in this way. I mean, don't forget, they're black, so telescopes can't see them. These waves will tell us a lot about black holes. And I think that they're going to be very, very powerful tools for probing all sorts of things in the universe. MCEVERS: That's NPR's science correspondent Geoff Brumfiel. Thank you.